Guys!!!! I cannot believe it is November 1st, which to me means the start of the holiday season! The last two months of the year are undoubtedly my favorite. I know lots of people are sticklers about Thanksgiving coming before Christmas (each to her own) but I am not one of them. In my mind, Thanksgiving and Christmas go hand in hand and blend perfectly together! 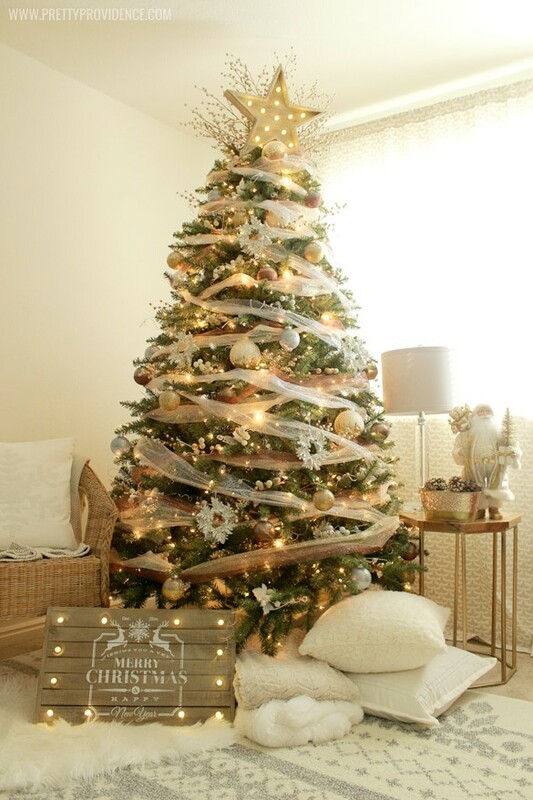 Because I love the holidays so much, when Michaels approached us about being Michaels Makers this year, the very first thing I thought of was the dream tree challenge. 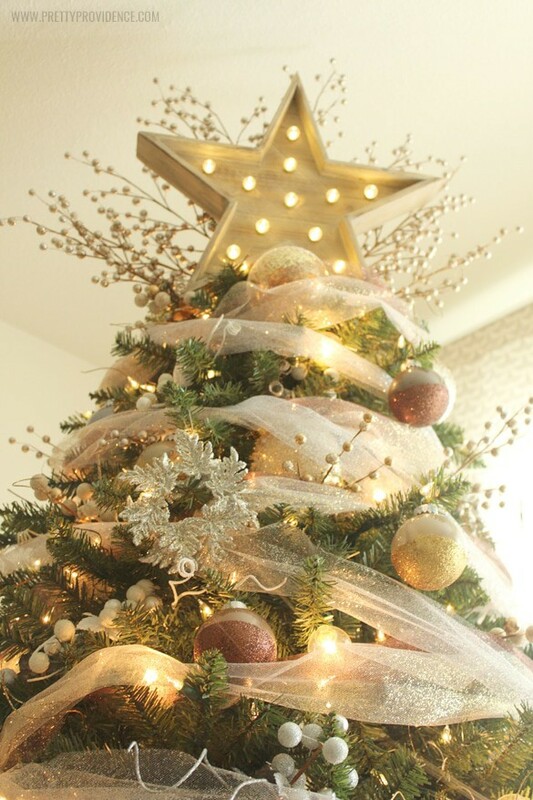 Over the last few years I have loved watching all the gorgeous trees talented people created and I was so excited that I would finally get to design my very own dream tree! Something you may not know about it me is that I am not a huge fan of the color red… like… it is my least favorite color. 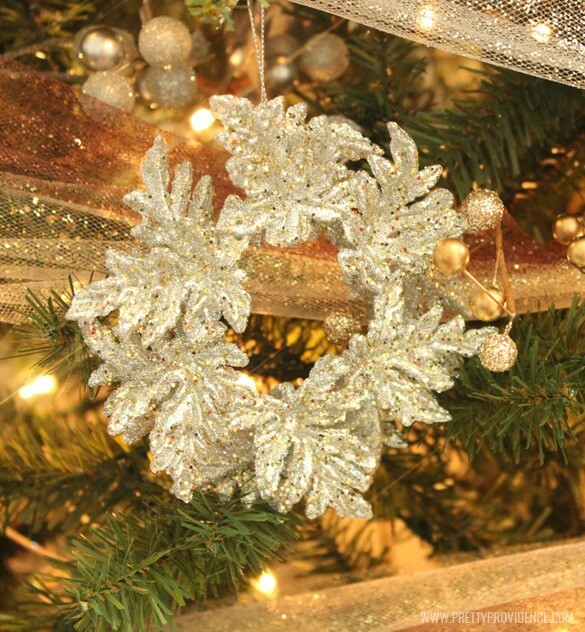 Basically all my Christmas decorations are hand me downs, so red can’t really be helped, but if I had my way all my Christmas decor would be “silver and gold, silver and gold” and of course a touch of white and bronze, just to be safe :)! So I used that as my jumping off point for my dream tree. I am also a sucker for anything sparkly! I love the twinkle of Christmas lights and the way they make everything around them gleam. I wanted plenty of sparkle so glittering everything was obvious. I wanted the entire tree to feel enchanting. The type that a child (or adult) could just lay under and watch for an hour. I decided to go for a softer, more whimsical feel for that reason. If things are perfectly symmetrical or too orderly you cannot watch them for hours, because they make sense after just a minute (is this just me?) 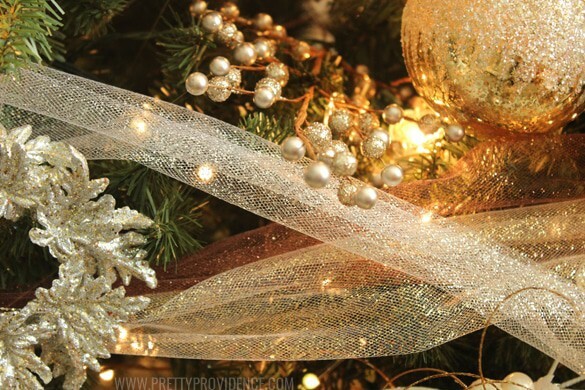 I wanted lights to play and dance and chase each other around berries and glittered ornaments and light airy tulle. 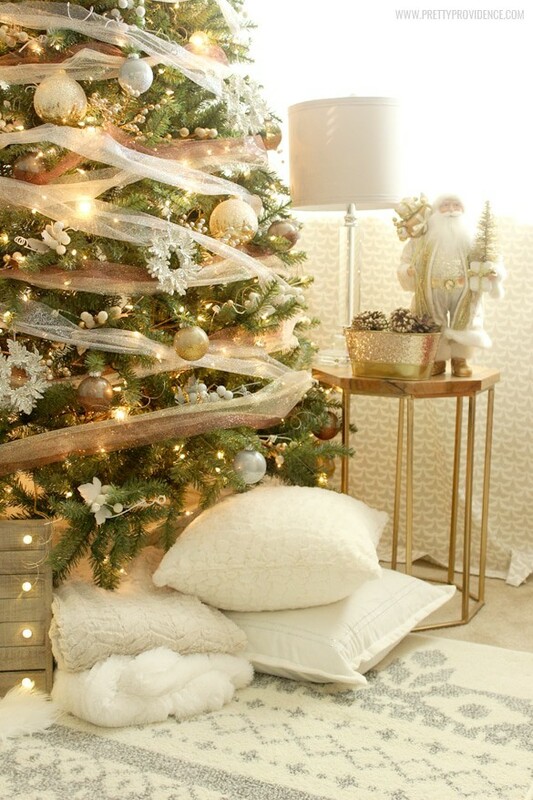 Speaking of observing Christmas tree magic, I love to keep some blankets and pillows nestled under my tree for that very reason. Wide eyed snugglers encouraged. To keep with the light whimsy feel, I decided to use light glittered tulle in silver, gold and bronze. It is so pretty, but let me tell you, it is WAY harder to make fairy tulle do what you want than say, good old fashion wire ribbon. I love mixing woods with metals, so of course I had to have the natural wood marquee star for the top. 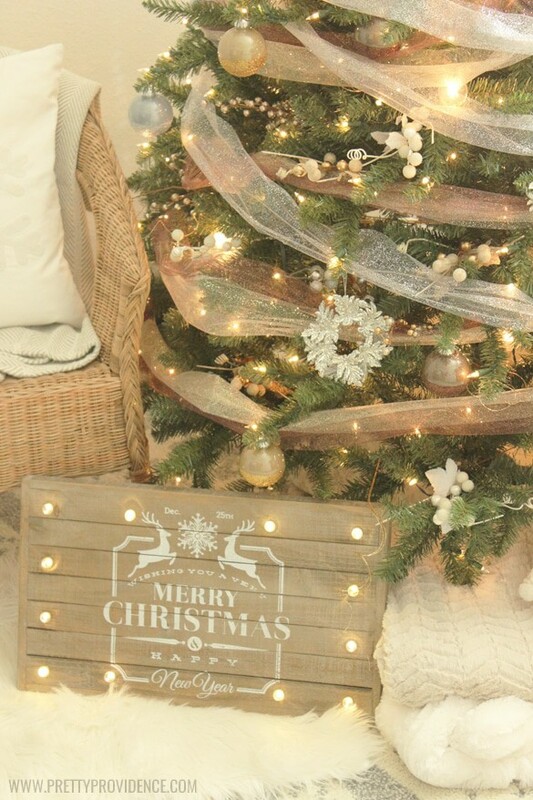 I snagged the wooden sign at the bottom of the tree from Michaels too.. gotta keep things balanced! It even looks beautiful when it isn’t lighted… wanna see?! 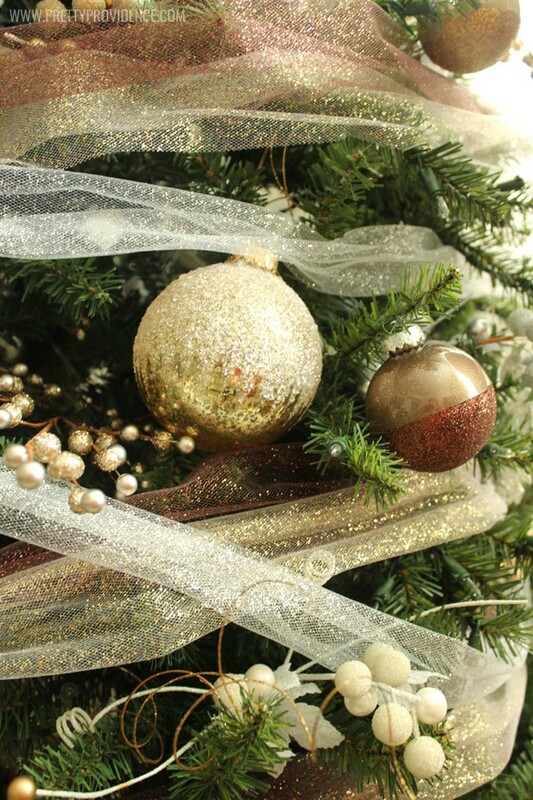 I made the gold, silver and bronze color block glitter ornaments myself from just plain plastic ornaments! It was so easy and so cost effective. Tutorial coming soon. 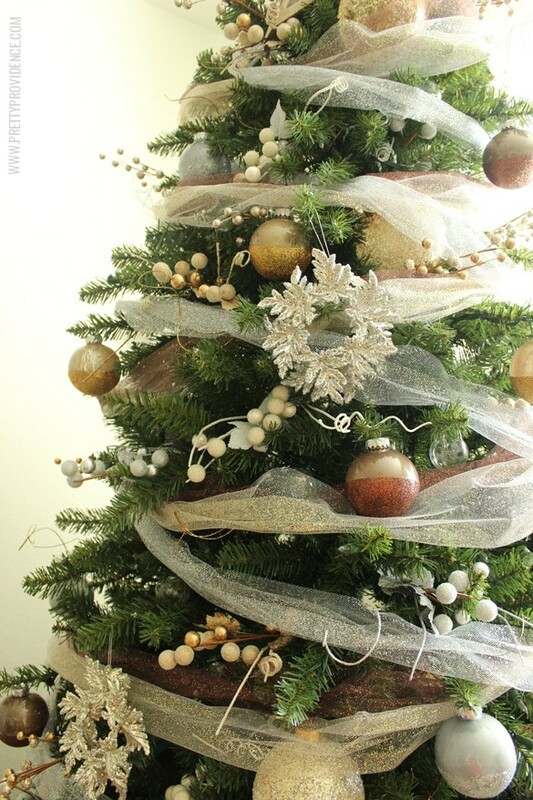 So, who’s getting inspired to start decorating their trees? 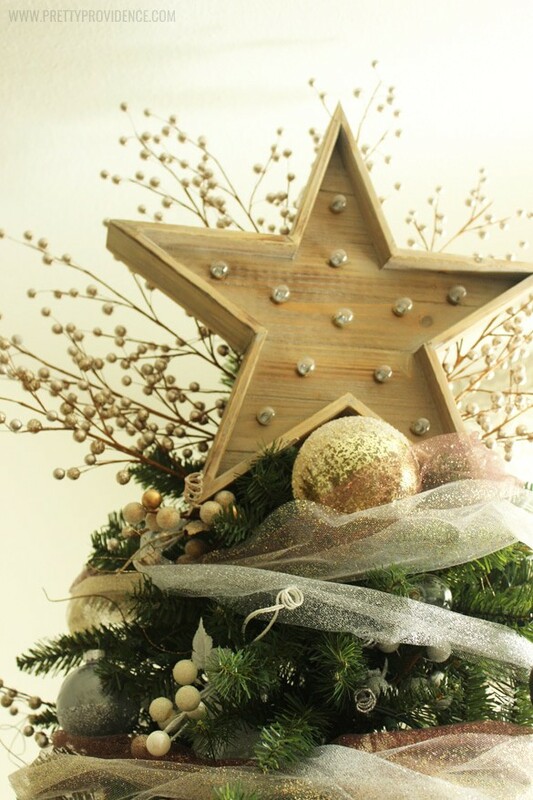 Make sure you visit Michaels’ blog, The Glue String, to see the other 49 Michaels Makers’ dream trees that were created this year! 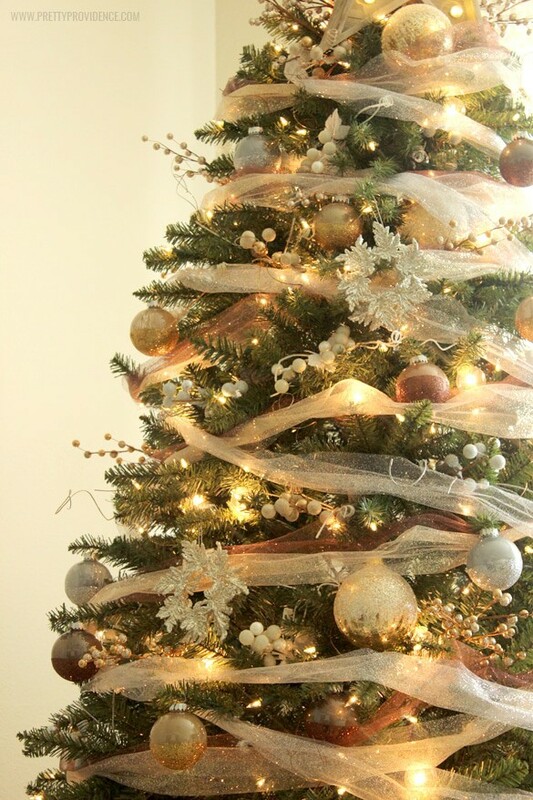 Also, From now until November 14, you can get FREE shipping on all Christmas trees that are 6ft or taller on Michaels.com. I have really loved my tree and been super impressed with the quality so far. 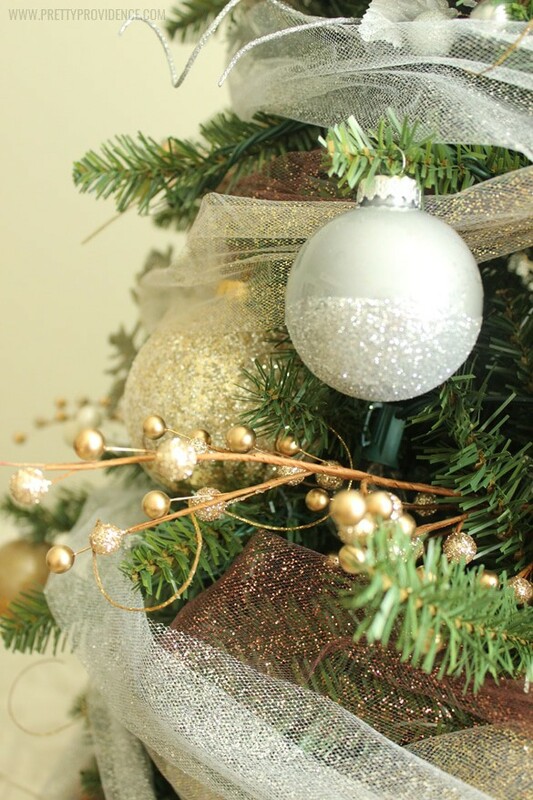 If you are a do it yourself-er, you will totally love all the ornament projects and tutorials Michaels has available on their website as well! Well there you have it! Happy Christmas friends! I hope you have a wonderful holiday season! If you liked this post be sure to check out our favorite Christmas themed treats or our best elf on the shelf ideas! « Fun and Easy Snowman Kebabs! Where did you get the wood star? LOVE IT!! the tree is awesome! 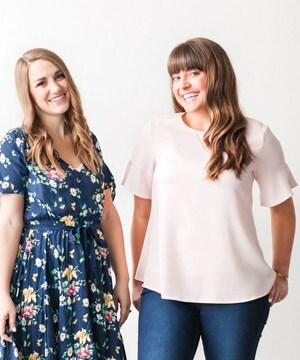 how does on apply the tulle? I just wrapped it around the tree like ribbon! Good luck ????. Love this tree! So pretty!